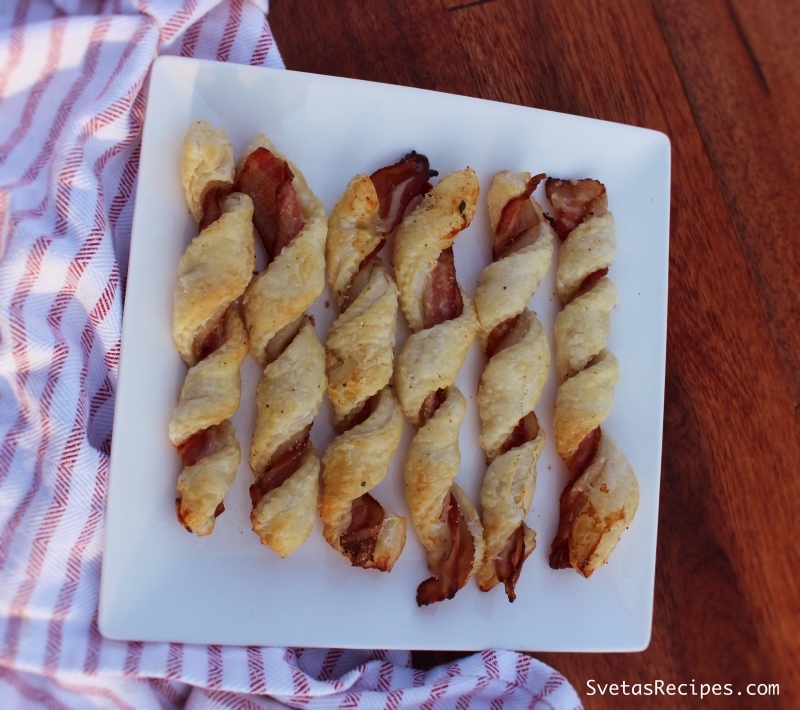 This Bacon Spiral recipe is very easy to make and very yummy to eat. I definitely recommend it to anybody who needs a quick dish without a lot of time. 1.) 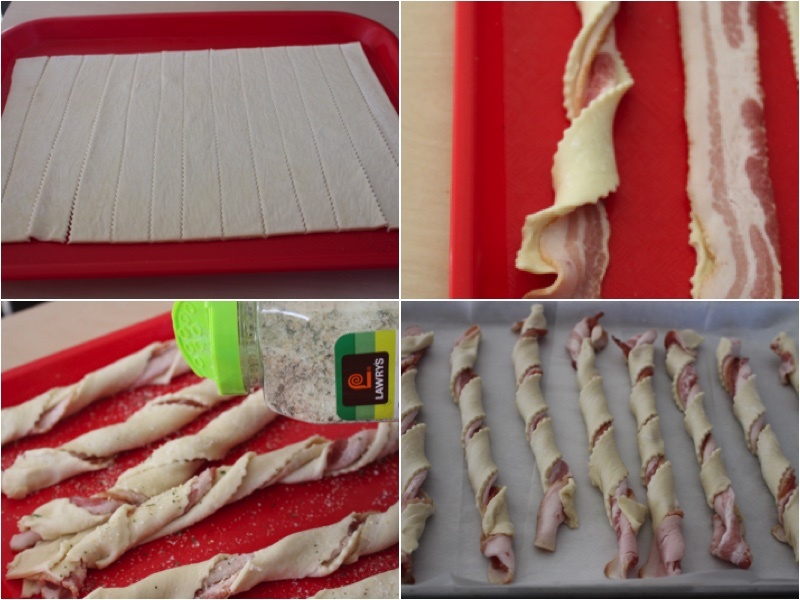 Cut your puff pastry dough into long thin strips as shown in the photo above. 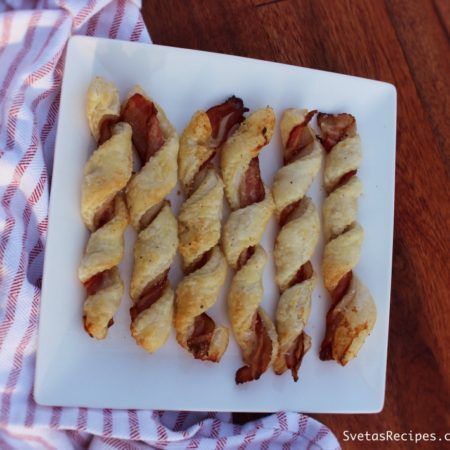 Place a pieces of bacon on your puff pasty dough. Roll it into a spiral and add your garlic salt. Put your spirals on parchment paper and on a pan. Bake for 25 minutes on 400ºF. Cut your puff pastry dough into long thin strips as shown in the photo above. 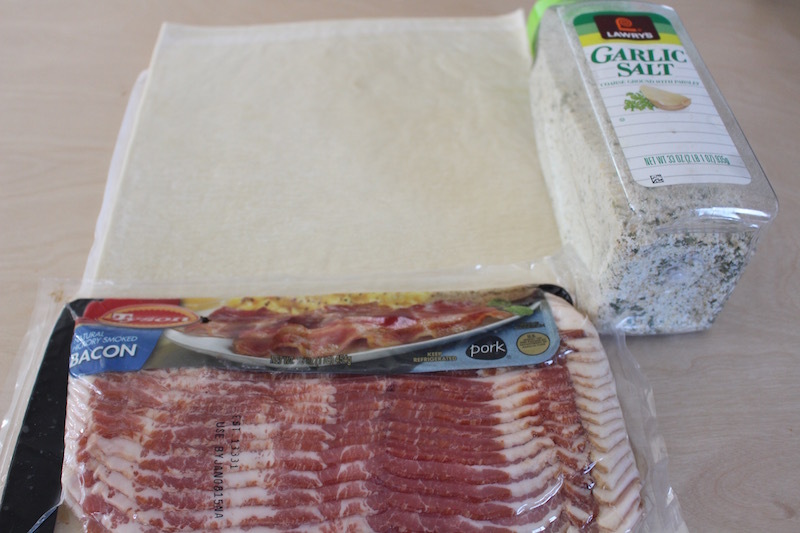 Place a pieces of bacon on your puff pasty dough. Roll it into a spiral and add your garlic salt. Put your spirals on parchment paper and on a pan. Bake for 25 minutes on 400ºF.